Hello, my name is Brian Cochran has been an entrepreneur since 1975, owning several businesses and I have helped thousands of people start, manage and grow their own business. 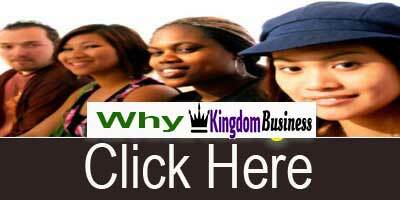 I have worked with a hundreds of churches and as we know it take finances to build the Kingdom of God. You as the leader of your church realize by now that most of your parishioners/ members are a paycheck from being homeless. So, trying to get more money from them is a challenge. It’s like tying to get blood from a turnip! In order to get your members to be able to give more they need to have more. One of the things that I have learned is, if you don’t help them to be able to generate more than what I’ve seen that members will start to stay home and start to think that the church wants is all their money. I have been an entrepreneur most of my life and when I gave my life to the Lord, I was able to give more when needed because when there was a need for more from my church all I had to do was work a little harder, market a little more and because I had the gift of giving and understood my purpose I had more to give to build the kingdom. As I matured in Christ, I have been looking for ways to help churches to be able to do what God has called and purposed them to do. Having a budget for outreach programs is always a problem for smaller churches. Members want to do more, but they have not. When we give them opportunities to earn more they will give more. Becoming Kingdom minded and understands their purpose as sowers in the Kingdom, there will be more excitement, renewed vision and you will be able to accomplish more. Most small churches will have a plan to expand their ministries and outreach into the community but don’t have the resources to do so. Most will offer a some type of feed and clothing program, which are good, but if you surveyed the people they serve you will find that they want better paying jobs, more income or just a income. Others want to get off the county or state with there was a way that they could do so and not miss a step. It’s through entrepreneurship that will help them! We can train them how to do a resume, fill out a application, interview, and even dress for success, but if there are no jobs, what then? 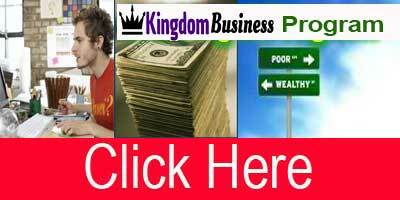 Kingdom Business is the program that will empower them to financial freedom and learn about the God that gave them the ability to get wealth and save them.